Whether you’re worried about your kid smashing their iPad on the ground or smashing their face on the iPad, there’s a case for you. Here’s our top picks for protecting the iPad from young kids. It doesn’t matter if the iPad your child is using is a hand-me-down with years of wear and tear on it or a brand new iPad, you still want to keep the iPad safe from damage (and, in the process, keep your kiddos free from damage too). We’re not going to name any names here, but we’ve totally seen a kid or two do super smart things like watch Paw Patrol with the iPad held directly over their head at an arm’s length—a recipe for a busted nose if we’ve ever seen one. So what should you look for when shopping for an iPad case for kids? Thick Padding: The younger the child, the thicker the case you want. You might rarely if ever drop your iPad, but they’ll drop their iPad all the time. For young kids skip thin silicone cases and go right for the thick foam cases. Large Handles: Again, the younger the kid, the larger you want the grip points on the case to be. Little hands lack dexterity and need big handles to grasp successfully. Deep Bezel: The further the case sticks out from the surface of the screen, the better. This way when the iPad flops face down the screen is kept elevated off the surface of the table or floor. Easy to Clean: Can you wipe peanut butter and jelly finger prints off the back easily with a baby wipe? No? It’s probably not a good case for younger kids then. Save the heavily textured cases for the big kids. With that in mind we’ve picked out some great iPad cases for young kids that keep the iPad snug and safe in a protective cocoon. 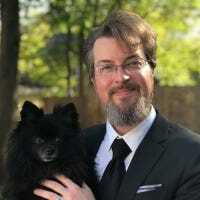 Our editor-in-chief has multiple children under the age of 4, and this is the case that he uses to protect the iPads in their house — in fact, the picture above is directly from his living room. And after nearly 4 years of iPads at his house being dropped and thrown all day long every single day, this case has proven its worth. The best thing about this case is that it can stand up for watching movies and videos, or it can lean at an angle to make it easier for kids to play their games while sitting at a table or just on the floor. The foam handle is a simple way for kids to carry it around the house, and it’s slim and light enough to make it easy for them to hold the tablet on their tiny laps. The case is fairly snug, so you’ll want to get the right one for your iPad version — the same version works for for iPad Air 1, iPad Air 2, or the new 2017 iPad, but if you have an older iPad 2, 3, or 4, you’ll need a different one, and the iPad Mini requires yet another model. At this point we’ve seen several generations of toddlers use the Speck iGuy and we can say this if nothing else: the cute anthropomorphic case makes it nearly impossible for kids to murder an iPad. The thick foam body is soft, fun to hold onto, easy to prop up, easy to wipe sticky finger prints off of, and even if your little tyke turns your iPad into a ninja-star projectile in the midst of a temper tantrum, there’s a good chance the iGuy will catch the brunt of the impact and your iPad will live to see another day. Although the feet-as-stand design isn’t perfect, it does a pretty good job helping kids prop up their iPad and the wide base stabilizes it when held on their laps. It’s available in multiple colors and for different iPads. The original model fits the following full size iPad models: iPad 1, iPad 2, iPad 3, iPad 4 and the updated model fits the iPad Air, iPad Air 2, and iPad Pro. There’s even a mini iGuy, intended for the iPad Mini 1, 2, and 3. 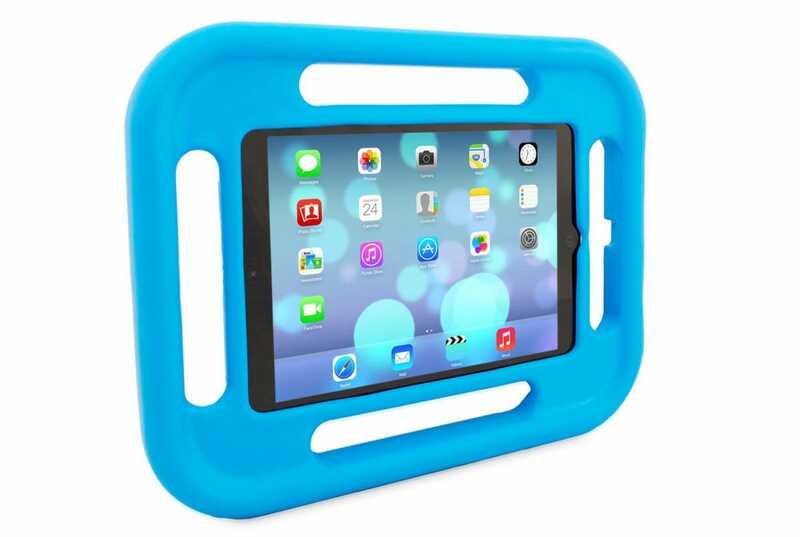 The Snugg iPad Case for kids is another great pick that echoes a lot of the design choices found in the iGuy: it’s brightly colored, wraps the iPad in thick foam, and offers a significant bezel to buffer the screen against scratches and damage. 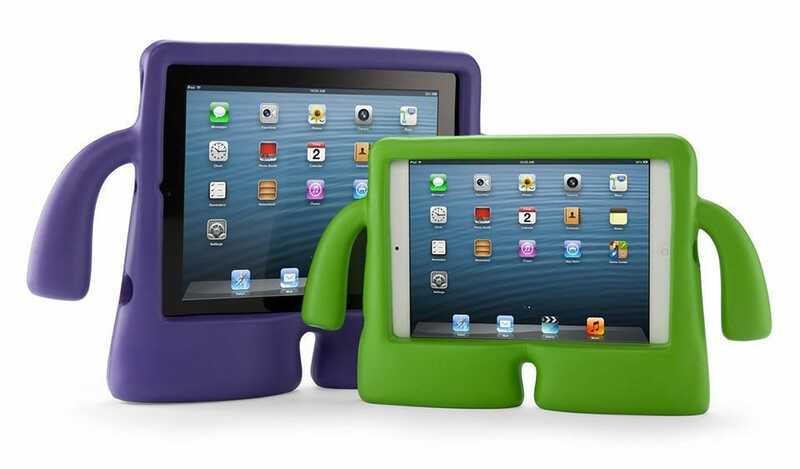 The biggest difference between the two case designs is that the Snugg ditches the wide-bottom for a handles-all-around design that ensures your kids can keep a good firm grip on their iPad no matter what orientation they hold it in. 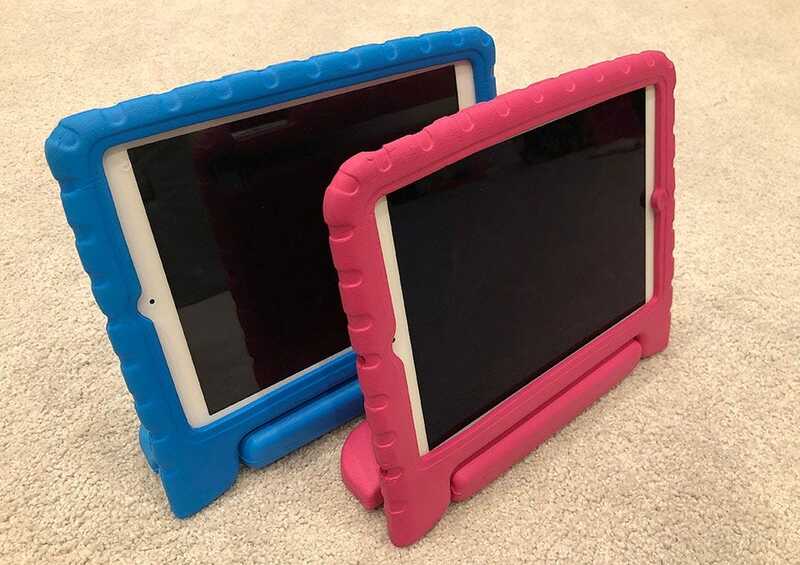 The Snugg is available in pink and blue and for smaller iPads (the Mini 1, 2, and 3) as well as some of the larger iPads (the iPad Air, Air 2, and Pro). 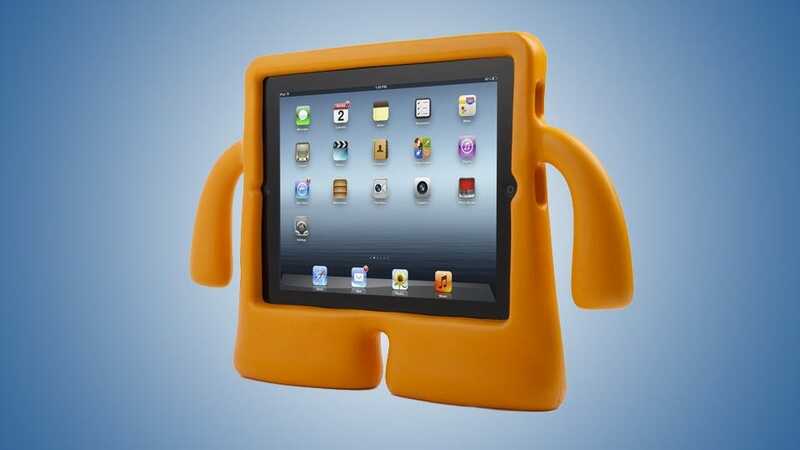 Unfortunately Snugg doesn’t make a similar case the regular iPad body. If you’re looking for a case that includes integrated screen protection, this alternate line of iPad cases from HDE—the same case we recommended earlier—fit the bill nicely. Not only does the case have the same big beefy handle that also doubles as a kick stand for the iPad, but it features a touch-screen friendly snap-on screen protector that will project the iPad from everything short of a hammer-wielding toddler. The screen protector does make it a little more difficult to press the home button, but if you need the extra protection for the screen, it’s worth considering. 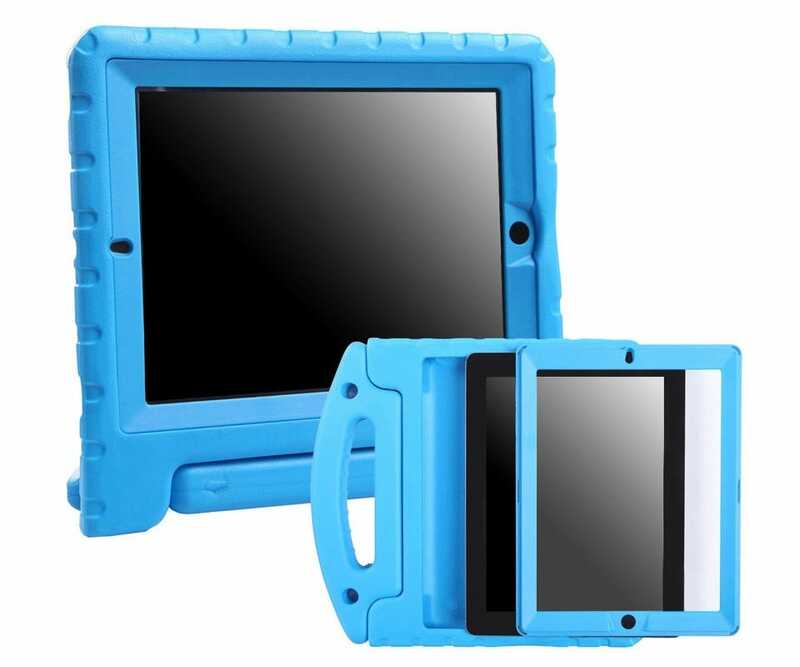 Because the cases are so custom fit to the iPad on account of the snap-on screen, there’s less wiggle room between models so be sure to buy the right one for your particular iPad. You can get the HDE cases for the iPad 2, 3 and 4, as well as the iPad Mini 1, 2, and 3, and the iPad Air 1 and iPad Air 2. Have a tip or trick to help make the iPad more kid-friendly? Let’s hear about it in the comments below. The PlayStation 4 Slim and Pro are now a year old. With Black Friday around the corner, we’ll probably see some solid deals on these consoles. If you’re picking one up for the first time, or just looking to score some new peripherals, these are the accessories you’ll actually care about.